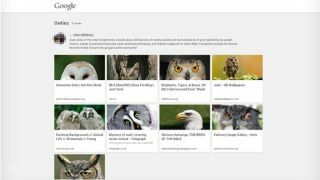 Google is testing an all encompassing bookmarking tool that would allow Chrome browser users to add web objects and save them in a searchable index. According to accomplished Google code trawler Florian Kiersch, Google Stars will enable web pages, images, videos, emails, Maps locations, Google+ pages, Drive documents and more to be moved to a library. The code for Stars, which currently exists in a primitive form as Google Collections, explains how starred items are displayed in an image grid "more beautiful than bookmarks." The result, which could be unveiled at Google I/O 2014, could turn out to be be a useful amalgamation of features enjoyed in standalone services like Pinterest, Pocket, Evernote and others. Other tidbits provided by the code reveal that all stars are private until the user says otherwise, while stars can also be sorted into "beautiful groups." Individual images will have clickable stars while "areas" can be dragged and dropped into the collection. It's also apparent that starring web pages won't just add a link, but will make the entire contents of the page searchable. Individual images can also be starred. In an email to The Verge, Kiersch wrote: "Google specifically mentions images, videos and websites in the source code but considering that the ability to star something got added to nearly all of Googles services (mails, files on Google Drive, places on Maps, etc. ), I think that you'll likely be able to find all these things under the Google Stars umbrella as well." Can Google Stars be the 'view it later' tool that finally makes bookmarks worth bookmarking?